I haven't been happy with my weight lately. Ok, I know, I am nearly 40, and my metabolism has probably died ages ago, plus I've just had a baby, so now I can't get the weight off even if I eat only 1800-2000 calories a day. I've been eating very litle and I've been doing yoga and walking a lot but nothing seemed to help. Then a couple of months ago I went back to London and decided to do some shopping...I think my turning point happened when I found myself in a fitting room of Top Shop trying a skirt two sizes bigger than I normally would wear. And that skirt didn't even fit. I went home and was practically in tears, I though I have to do something. Then I remembered about one book which was given me for free with the Philips juicer I bought recently. The book is called "How to lose 7 lbs in 7 days" by Jason Vale. I didn't pay attention to this book first, but now it seemed to be exactly what I needed. I know it can be frustrating to find decent recipies, so I was very happy to have it. I've read it in one evening, thank God they have put together a full shopping list to make it easier for you, so... next morning, woken up all excited, I jumped into my Uggs and run to the nearest Tesco. Half hour later, I was walking back home with 2 huge shopping bags of fruits and veggies, which I was going to consume in a juice form in the next 3 days. 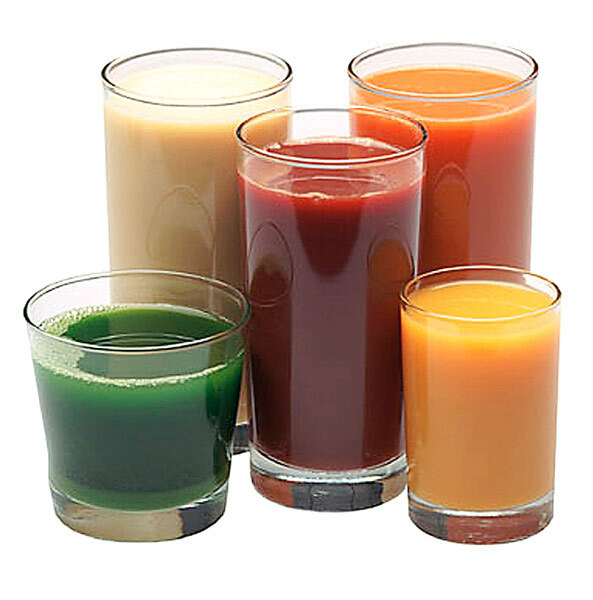 Then I had even more difficult task - to buy all the supplements which had to be taken with the juices. It took me another 2 hours to track them down, especially some things I have never heard of before (like something called Alfalfa sprouts) but Holland & Barrett shop and Planet Organic didn't let me down, and I eventually bought everything (probably even more than I needed) for my week. 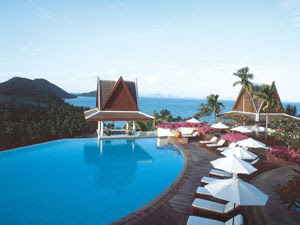 After 1 week on juices I had to fly back home to Samui, and I had no idea how I am gonna do it. I knew that after this fasting I could not really eat plane food, it would just kill me...I started from buying a fresh juice in Heathrow's Boots to take with me on the plane, then I refused the plane food alltogether, during my stopover in Bahrain I ran out to Costa coffee and got some fresh orange juice...anyway, cut story short - I made it to Samui without having a single piece of food in my mouth. I wasn't even hungry anymore, my stomach must have shrunk, I was feeling great, I had more energy and my skin was more radiant than ever. Anyway, after 3 weeks I decided I have reached my target weight, I have lost 5 kg and could fit in all my clothes again, so I started eating salads, slowly increasing amount of food day after day until I could have a normal diet again. I thought that would be pretty mean to keep it all to myself, so I decided to go ahead and post the recipies here, in case another unhappy overweight soul is searching for help...Maybe it's not everyone's cup of tea, but It did help me and made me look better, so, you can always try and see for yourself. "How to lose 7 lbs in 7 days"
I can talk a lot about yoga, I simply love it and my ultimate wish is to become a yoga instructor one day...when I get more time...But for now I am still trying different styles and exploring new horizons.. 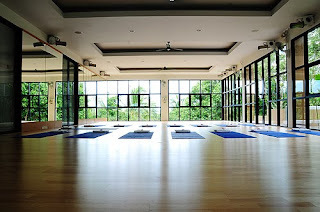 So, Yoga in Samui... I start with the studios - they are amazing here. 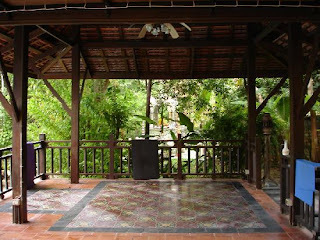 They are spacious, have lots of fresh air, and attract people with its great ambiance. 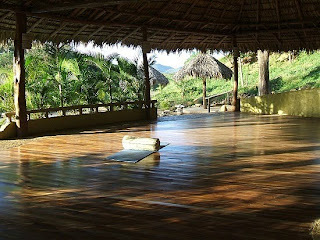 Sometimes it is called a sala - which is an open air space for massages, yoga, and general relaxation. There is plenty of space for everyone, you don't feel intimidated by someone sweating right next to you or someone in front constantly blocking your view of a teacher...No, it's good, really good. 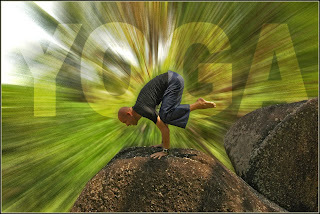 Funny enough - one of the most popular style in Samui is a Hot Yoga which is practiced twice a day in Absolute Sanctuary. 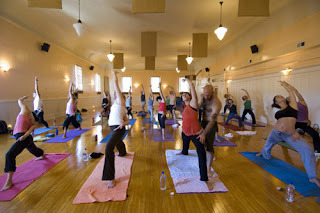 Hot Yoga is a series of yoga poses done in a heated room. 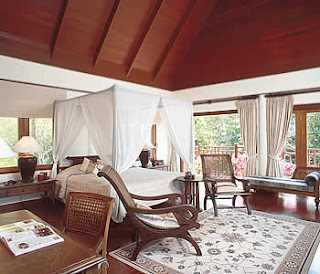 The room is usually maintained at a temperature of 36-38 degrees. 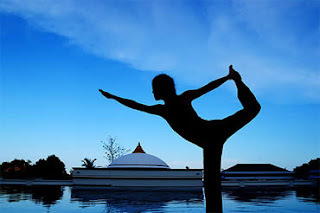 As you can imagine, a vigorous yoga session at this temperature promotes profuse sweating and makes the body very warm, and therefore more flexible. I know what you are going to say - "Are you mad? It's so hot there already" - I absolutely agree, but still...Hot Yoga is so addictive, it helps you to lose weight quickly, it's very detoxifying, it makes you flexible much quicker than normal Hatha or Ashtanga..
And before we close this subject - just a few more hotels ( located outside of the main well known areas of Samui), which I can also recommend for the nice relaxing honeymoon. 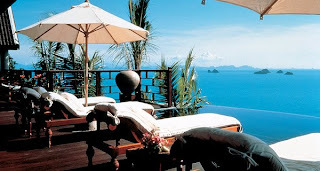 A spectacular hotel in a remote location, perfect for couples and people wanting some privacy. 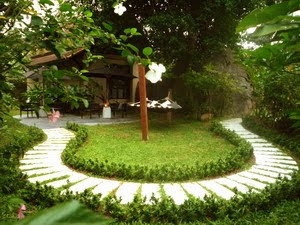 The resort itself is beautiful, exceptionally maintained and landscaped. 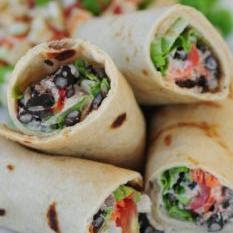 The restaurants have wonderful food and fantastic service. 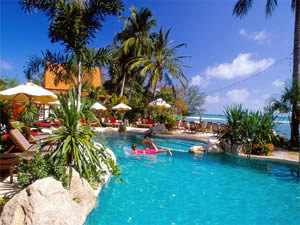 There is a choice of many swimming pools and the beach. 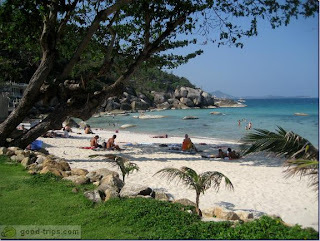 The beach is very picturesque, the sunsets are idyllic, generally very romantic and serene place. 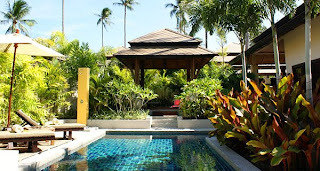 Located in Maenam area of Samui Island this beautiful luxury hillside resort has 31 private pool villas and suites which are consisted of one, two and three bedrooms. 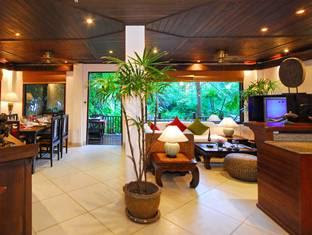 Decorated in tropical style, the resort has a very high quality service and stylish accommodation. 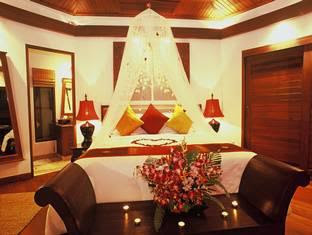 It is perfect for honeymoon couples who looking for privacy, good service, and beautiful accommodations. Beach is just 5 minutes drive from the resort - hotel provides a free shuttle about 4 times a day, restaurant and the spa as really good and I would highly recommend this resort to anyone who wants to get away from the hustle & bustle of busy places. 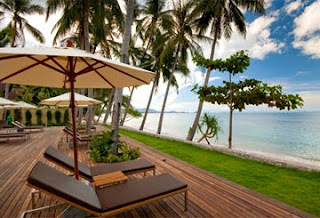 The Passage Samui is a paradise in a great unspoilt location. 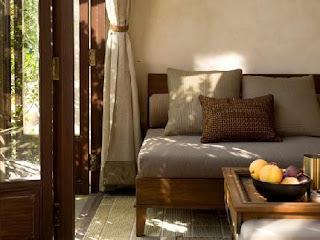 If you are looking for a quiet, romantic honeymoon - this is for you. The staff are absolutely amazing and the facilities are great. The food at the hotel’s restaurant is really good and the coctails they make there are delicious. You can watch beautiful sunset from the restaurant, beach or any of the beachfront villas. The only drawback is the beach which has a coral reef and not very good for swimming. But hotel's pools are great and fuly compensating for the lack of swimming in the sea. The hotel is located on the north west coast, not far from Nathon, where you can find many simple Thai restaurants, interesting shops, great food market at the pier, and supermarket Tesco Lotus. 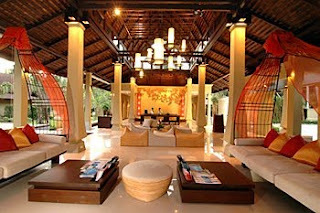 Villa Tanamera is a small private resort on the beautiful spot of Bangrak beach. 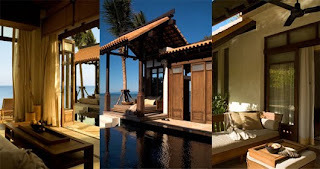 The one and two bedroom villas are situated right on the beach, few steps away from the ocean. There are only 8 unit in this property so its very quiet and exclusive, great for people who wants to get away from the crowd and just enjoy all the peace and quiet this resort can offer...The service is great and the seaview is beautiful, so go and enjoy! 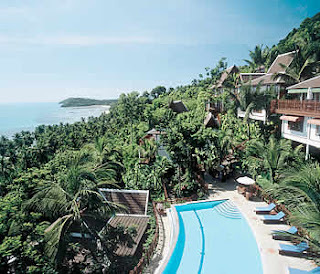 Prana is a beautiful small resort located right on Bangrak beach (not too far from previous hotel Villa Tanamera). 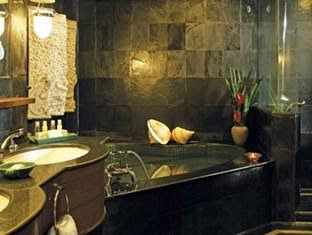 The resort is vegetarian and non-smoking, so if you favour healthy lifestyle - it is for you. 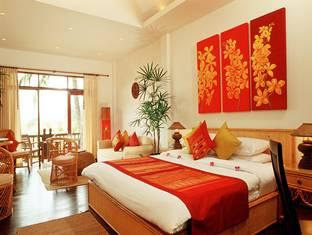 The rooms are really nice, the view of the sunsets from the resort is absolutely beautiful and you can stroll on the beach to Big Budda, it's a lovely walk. 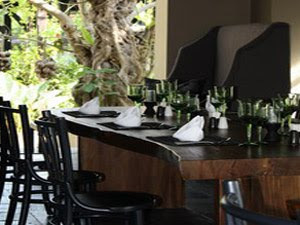 The staff are extremely friendly, the food in a restaurant is fab, the location coudn't be better - close to the Fisherman's Village well known for its great restaurants and atmosphere, and also not far from Chaweng in case you need some nightlife. 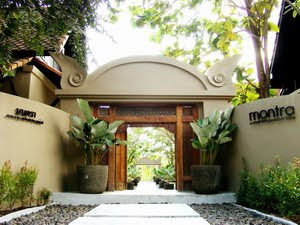 Montra is a very small hotel in Lamai. As you enter the hotel you have to go through a pair of solid old wooden gates, and as you close the gates behind you, you find yourself in a magical peaceful garden, then you immediately feel that you are somewhere very special. 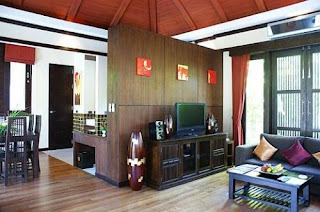 The resort's 9 luxury villas are located in a beautiful tropical garden. 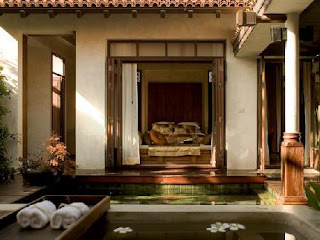 The large elegant swimming pool winds it way around the resort and is never more than a few steps from the entrance to each villa. elegant swimming pool. Food in the restaurant is really good, everything cooked to order, and the herbs being picked from their own vegetable garden. The hotel is not on the beach but they will drop you to the beach free of charge during the day. 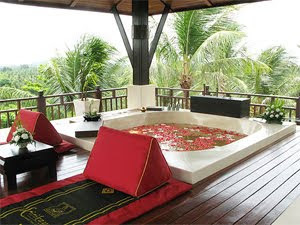 Rockys Boutique Resort is a private and secluded Koh Samui resort with consist of luxurious Thai bungalows and villas. 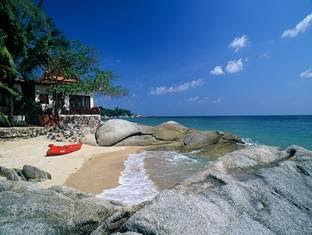 The resort is located on a private beach, with stunning seaviews , and only a short distance to downtown Lamai - hotel provides a free shuttle bus. The restaurant is one of the best on the island, popular with both local ex-pats and tourists. 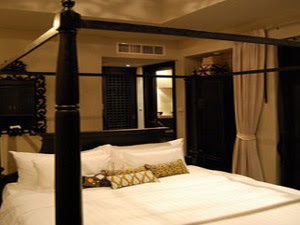 "...Me and my husband stayed at Rockys for 11 nights we picked this hotel as it was our honeymoon. 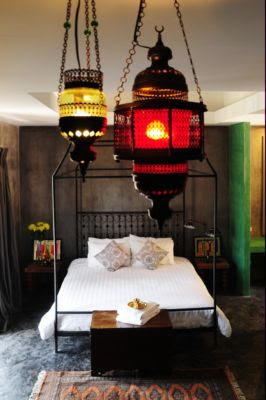 We had a fab time there all the staff were fabulous..." - from tripadvisor hotel review. 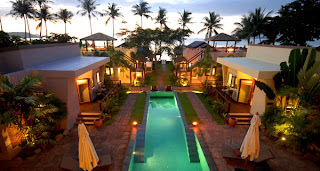 Located in a quiet part of Lamui Beach it provides all the peace and quiet you need on your honeymoon. 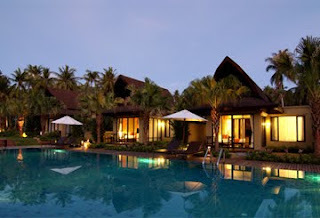 Accomodation consists of secluded pool villas right at the beachfront of Lamai and also some suites situated around the pools. The staff are great and go the extra mile to help you and make you feel at home. 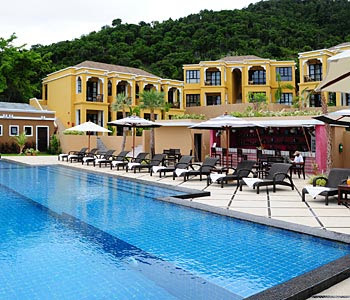 This resort is ideal for a totally relaxing holiday. 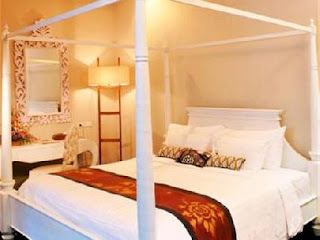 2.Beautiful mid-range - nothing which I personally find suitable for honeymoon in this area. Silver beach is probably the best beach on the whole island. Simply stunning, the water is blue and very clear, the sand is white and soft, and the view around you is to die for. 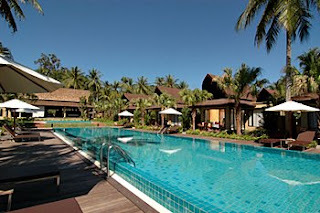 The resort, gardens, beach and the restaurant all look just as they do on their website - beautiful! 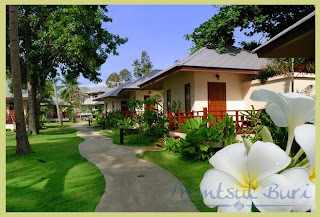 The resort is simple but very clean and relaxing, in a beautiful well-maintained garden and the area around the resort is very picturesque, exactly like you see on the postcards.